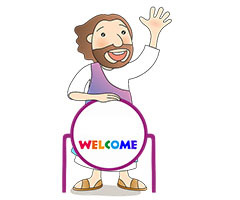 Whether you are a new parishioner or just visiting, you are very welcome and we, the existing community, hope you feel at home at St Flannan's Catholic Parish. We invite you to introduce yourself and share your time and talent. Be involved. Show your commitment. Join or start a ministry. As a parish family, we must all invest time and effort in building up relationships which we hope will lead us to God. You are encouraged to register on our Parish Census and consider financially supporting the Parish by taking part in our Planned Giving Program.